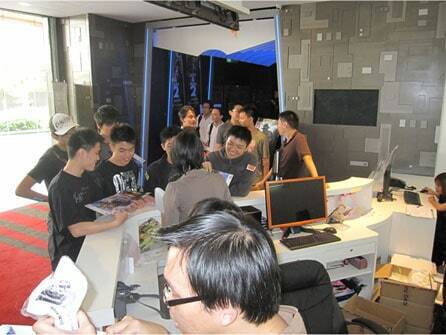 19 Jan 2010 (Singapore) – Last Saturday was an exciting day for many of the Dawn of War II fans in Singapore. For the first time, Replay Interactive, as the distributor of the game, organised a tournament for the local Dawn of War II players. 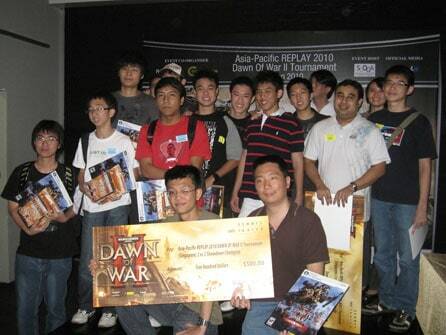 This event is part of a regional tournament – titled: Asia-Pacific REPLAY 2010 Dawn of War II Tournament – which will feature 3 local tournaments (Hong Kong, Singapore and Taiwan) and one regional tournament (to be held on 6 Feb at the Taipei Games Show 2010), pitting the best team from each representative country against one another for the APAC champion seat! The Singapore round was supported by Colosseum, SCOGA and Gameaxis. Here’s some recap of the event! The tournament consists of 2 tournament modes: one being the 2 vs 2, with total number of teams, 11, and the second being The Last Stand 3 vs AI, with total participating teams, 5. The highlight of the tournament was of course the 2 vs 2. The entire tournament lasted about 6 exciting hours! The last hours were definitely the most intense as the final four teams vie for the championship. Spectators follow closely on these matches that were screened on the extremely large screen, courtesy of Colosseum, and the audio commentary by the event commentator. 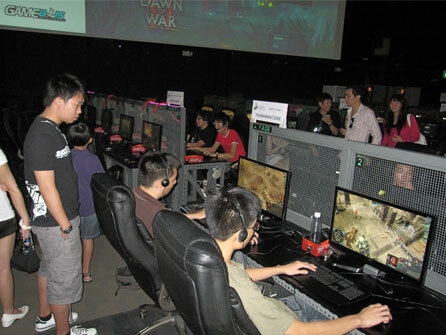 Besides the tournament, gamers and walk-in visitors were also treated to 5 hours of free play on over 40 computers of selected THQ PC titles, including Red Faction: Guerrilla, Dawn of War II, Company of Heroes and Saints Row 2. After a day of competition and fun, it is finally time to present the prizes! Congratulations to the following winners: Team 1MS, Team White Death and Team TDD for achieving 1st, 2nd and 3rd place respectively for the 2 vs 2 tournament, winning themselves attractive cash prizes of $500, $400 and $300 and the upcoming Warhammer 40,000: Dawn of War II Chaos Rising game (standalone, expansion pack to Dawn of War II). And to all the winners of The Last Stand who walked away with THQ game hampers and the lucky recipients of the lucky draw prizes! Thank you once again for your participation! Let’s now cheer on Team 1MS who will represent us at the regional finals at Taipei Game Show! Way to go!